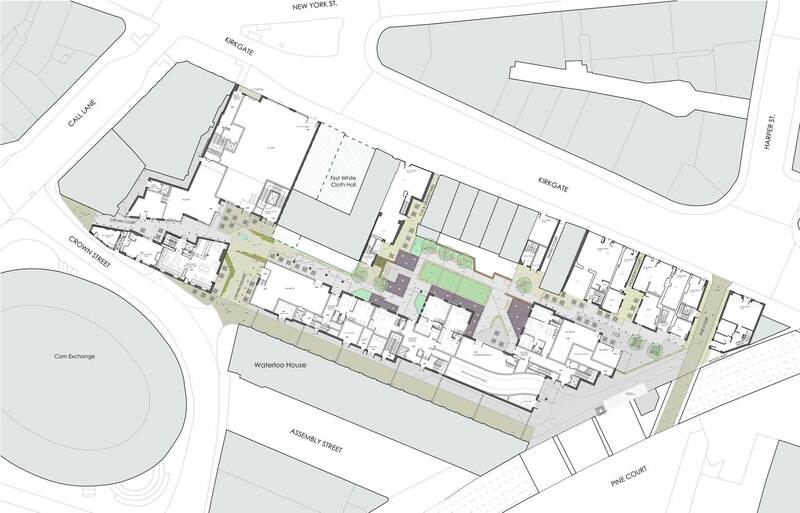 The redevelopment of 101-104 Kirkgate and the creation of Crown Square on the site of an existing surface car park, offers the opportunity to achieve several aspirations in the context of the overall Kirkgate regeneration story. 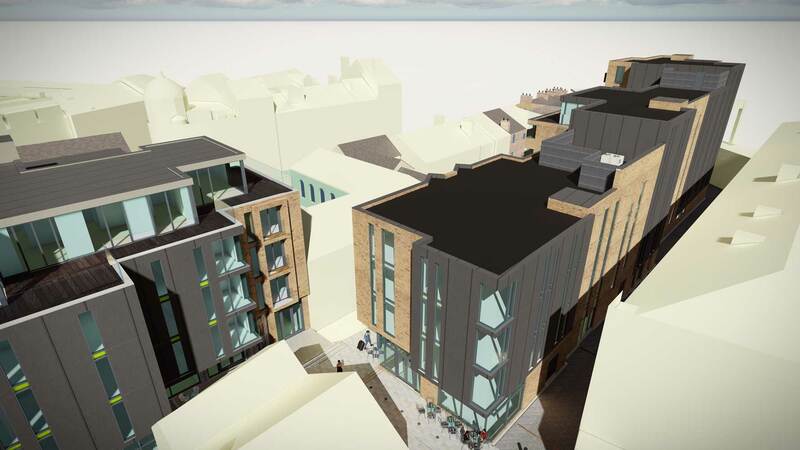 Works will include the completion of the Kirkgate frontage (alongside FWCH) forming an architectural ‘bridge’ between the earlier Georgian styled facades of the Eastern end of Kirkgate (No.84 to No.100) and the later Victorian elements to the West wrapping around on to Call Lane. 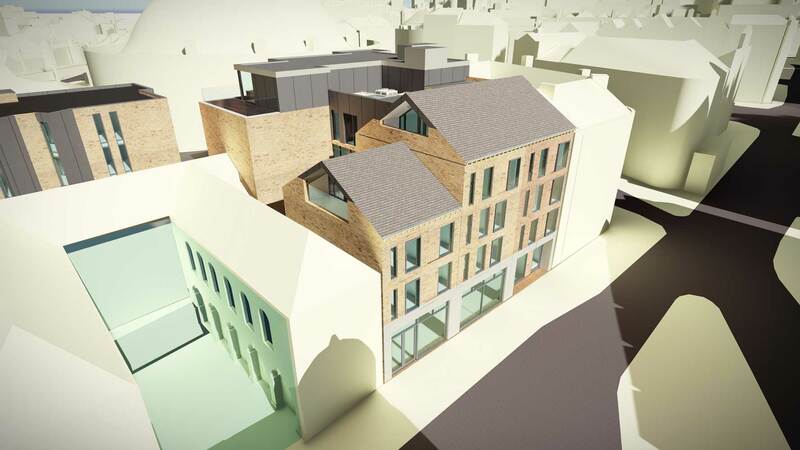 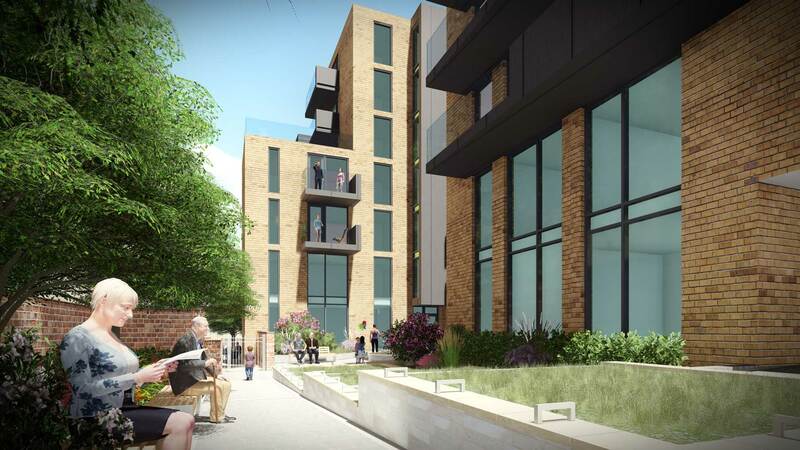 The new development on Kirkgate will transform the area into a lively neighbourhood for the City, which respects the historical context while embracing the future; providing a new residential neighbourhood and offering an unrivalled sense of place and amenity. 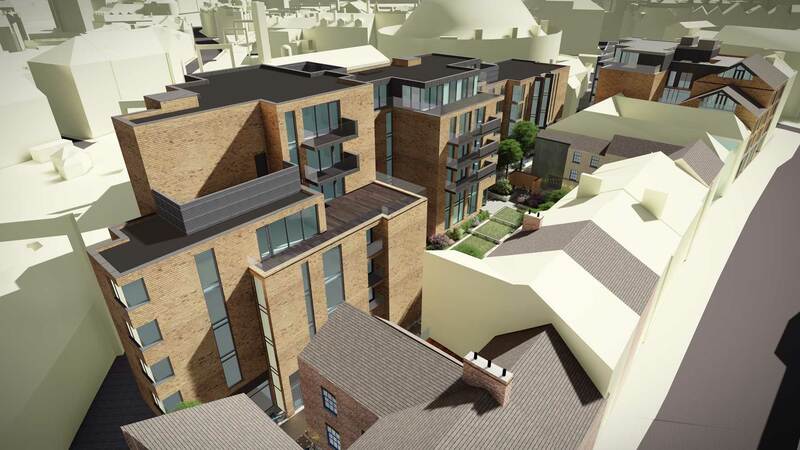 The scheme includes the creation of 80 new apartments in a mix of studio, 1, 2 and 3 bed units both as single floor and duplex arrangements; many with external balconies and terraces, overlooking new high quality public realm and private gardens. 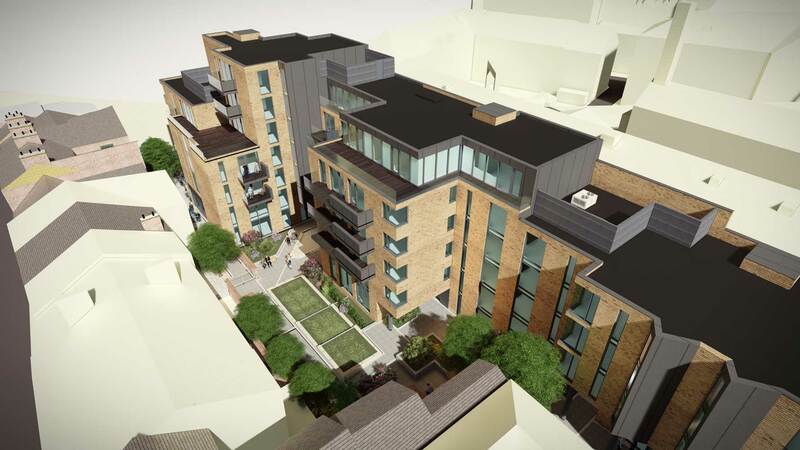 Residents can also benefit from basement secured cycle parking and underground car parking provision for a car club scheme, as well as access to a community room and postal/concierge services. 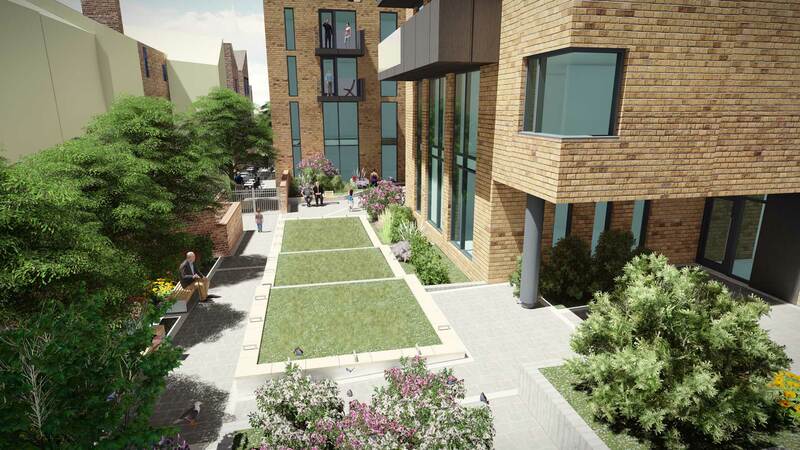 In addition to the residential offering there is over 1100sqm of retail and leisure space. 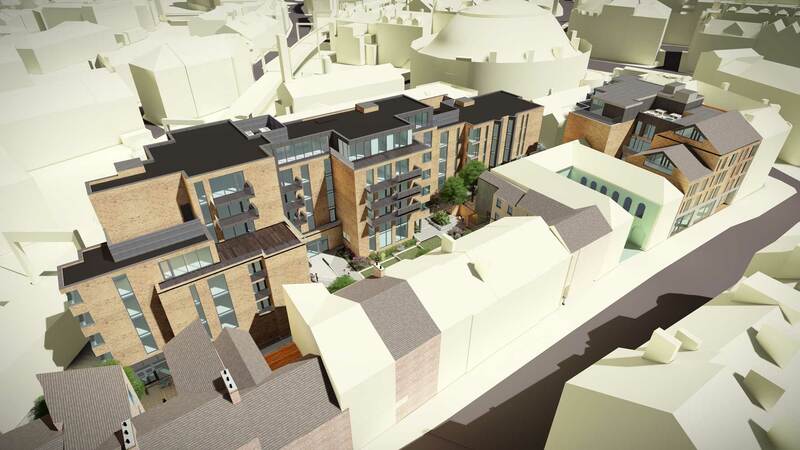 Providing vital ground floor active uses to address the newly formed Crown Square public realm and the revitalised Yards and Courts at the back of Kirkgate. 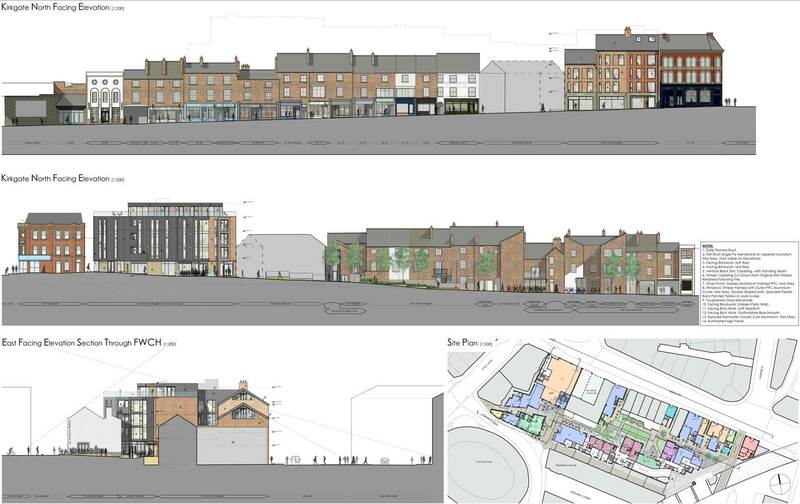 These proposals are part of the overall masterplan for “Kirkgate, Leeds” which envisages the creation of a revitalised neighbourhood, that supports local businesses and secures the future of this unique historic location.